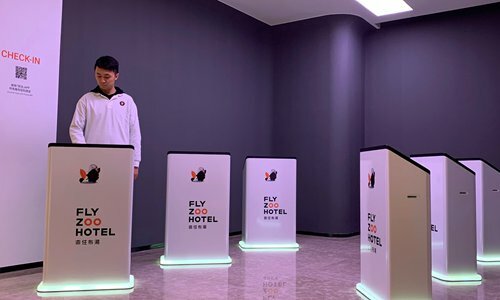 Gliding silently through Alibaba Group Holding's futuristic "FlyZoo" hotel, black disc-shaped robots about a meter in height deliver food and drop off fresh towels. Inside the hotel, softly-lit white paneled walls bring to mind the interiors of Hollywood spaceships. Guests check in at podiums that scan their faces, as well as passports or other ID. Visitors with a Chinese national ID can scan their faces using their smartphones to check in ahead of time. "It's very quick and safe. I haven't used it much yet, but basically, I can be in my room in one minute," said guest Tracy Li. Li added that safety was one of her priorities and she was pleased her room could only be entered with a scan of her face. 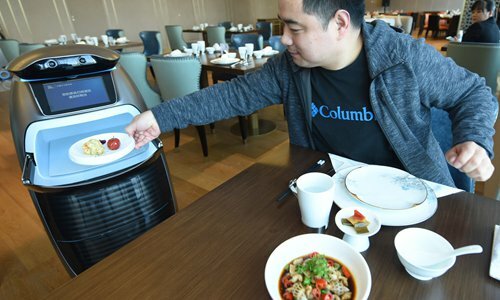 At the hotel's restaurant, taller capsule-shaped robots deliver food that guests have ordered via the FlyZoo app, while at a separate bar, a large robotic arm can mix more than 20 different types of cocktails. 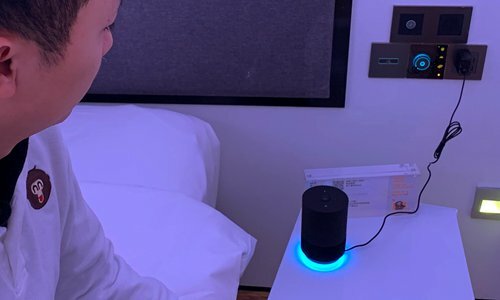 Facial recognition cameras add charges to the room rate automatically. FlyZoo - whose name derives from a pun in Chinese for "it's a must to stay here" - is located in the city of Hangzhou, 170 kilometers southwest of Shanghai, and is within walking distance of Alibaba's headquarters. 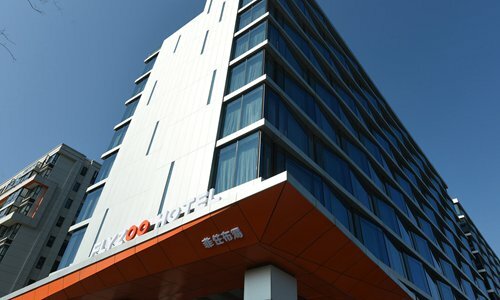 Room fees start from 1,390 yuan ($205) a night. It does employ humans, though Alibaba declined to detail how many. This includes chefs and cleaners as well as reception staff, who will assist with conventional check-in procedures for guests unwilling to have their faces scanned and want to use electronic key cards. The aim of such projects is twofold - develop AI and other high-tech expertise which will propel Alibaba's e-commerce offerings forward, as well as develop new areas of business at a time when e-commerce revenue growth rates are slowing, in part due to the US-China trade war.